Advertisements for the new “Godzilla” are ubiquitous this summer. Weatherhead East Asian Institute faculty member Gregory Pflugfelder is well acquainted with such images. 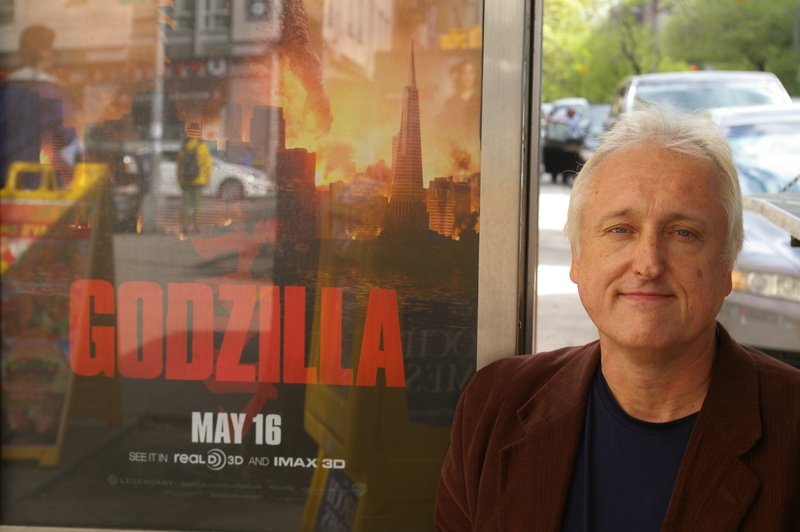 Pflugfelder, a professor of Japanese history at Columbia University, has collected around five thousand posters and promotional materials for Godzilla films and other Japanese monster flicks. His archive of advertisements is intended to help us understand how these globally circulated movies were received in different countries during the Cold War era. 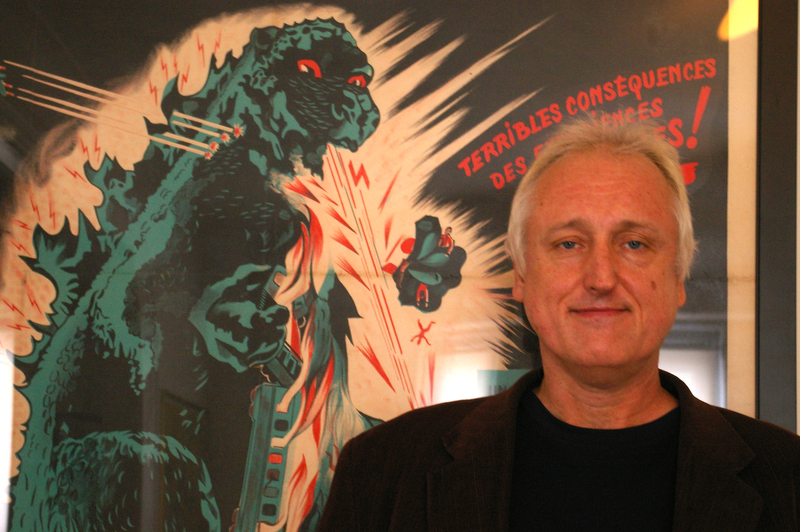 We recently sat down with Professor Pflugfelder, who teaches a popular course on “The Cultural History of Japanese Monsters,” to discuss the origins of Godzilla and the insights his collection provides into the dynamics of globalization. What led you to build your 5,000-piece collection of advertisements and promotional materials about Godzilla and other Japanese monster movies? Around 2003, I began thinking of organizing an event to commemorate the fiftieth anniversary of the original “Godzilla,” which was released in 1954. To mark the anniversary, I tried to think of ways to illustrate the global impact that made-in-Japan monster movies had in Cold War culture—not only in the so-called Free World but also behind the Iron Curtain. I began to collect examples of posters and publicity materials that were created to market these made-in-Japan films to audiences under very different cultural and political circumstances around the world. I curated an exhibit called “Godzilla Conquers the Globe” in 2004 at Columbia and created a website as well. I have since gathered a variety of additional materials from all continents, aside from Antarctica, and have begun to explore the ways in which we as scholars can understand some of the dynamics of globalization as well as the less commonly explored byways of Cold War culture. With the current interest in Godzilla due to the new movie, I am putting these materials online for all people interested in Godzilla movies, Japanese monster movies, and Japanese popular culture more generally. Before I began collecting these materials, I had started thinking that it was not literally true that the first kind of Japanese culture that came my way was the Japanese court poetry I studied in college—in fact, there were these Japanese monster movies I watched as a kid in suburban Pennsylvania. I was not terribly conscious that they were Japanese at the time. That became interesting to me: why were those movies marketed not to seem Japanese? What is the larger cultural history of Japanese popular film in international circulation? Another personal aspect was that—because I have a complicated background—I speak and read about a dozen languages. My parents actually arrived in the U.S. in 1954, the year “Godzilla” came out. My mother’s family is from Russia and Ukraine. My father’s family is from Germany. I assumed that my multicultural background could not help me in Japanese studies. But when I began working on Godzilla, I learned it can actually be helpful to read Slavic languages. If you look at the scholarship in Japan and the U.S. on the first “Godzilla” film, it’s usually told as a story of U.S.-Japan relations from World War II to the new geopolitical alliance. If that is what the film is all about, then what did the movie mean to people watching it in, say, communist Poland in 1957? I want to begin the process of understanding the Godzilla films outside of how U.S. and Japanese viewers watched them. I want to tell a more global and variegated story about Godzilla’s significance. We don’t yet have the data—even with IMDB—about when Godzilla was released in each country. The dialogue and editing in each country is different, too. I also wanted to go back into global cultural history and look at the 1950s and 1960s with the unsentimental eye of an archaeologist. This is a time, if you’re growing up in the U.S., when Japan was not seen as “cool” or sophisticated. In my youth, Japan was not regarded as being on the cutting edge but as a place that, at best, copied the cultural products of other places and was perceived as doing so in a relatively crude matter. We watched “Speed Racer” and shows like that on TV without being aware they were products of Japan. American distributors disguised or erased their Japanese origins to make them more palatable to audiences in the U.S. This has come 180 degrees in my lifetime—now we see American TV and movie producers affixing marks associated with Japanese culture to their own films and series to enhance their appeal. I want to recover the “uncool” Japan—a time in global cultural history when Japan supplied much popular culture to the world but was still struggling with its own cultural and political history. Of course, the 1950s were a time when it was a recent memory in the U.S. that the two countries had been at war. It required a deliberate marketing effort to make the products of Japanese culture enjoyable to American audiences without historical and political barriers. Godzilla is instructive because he has lasted over decades. You can see in very clear ways how the single genre or vehicle that is the kaiju (monster) movie gets mobilized to generate public opinion on a variety of social ills. Of course, in the 1950s, nuclear danger and nuclear proliferation were things that were of great concern to the Japanese public and the original “Godzilla” movie provides a very subtle vehicle for raising awareness and creating opinions regarding nuclear issues. When one moves into the 1960s—what one called the era of high economic growth—the dangers of rampant capitalism and crass commercialization then get increasingly picked up on as social dangers that monster movies can speak effectively about. I don’t think we should look at the makers of the Godzilla films as saying, “How will we mobilize public opinion?” I think it’s more a matter of the culture industry being very sensitive to public sentiment. The ways that kaiju eiga (monster movies) come to figure their monsters as battling against economic evil are actually picking up on themes and anxieties that are already out there among the public. The culture industry uses them to generate profits—that’s the very first goal. All these kinds of ethical and political meanings are secondary in the long run to the process of generating profit by appealing to the anxieties of your audience. Filmmakers use the monster movie as a vehicle for them to satisfyingly engage these anxieties in ways that produce not just anxiety but viewing pleasure. In the 1970s, as public discussion over pollution expands, the creators of kaiju eiga very deftly switched from imagining Godzilla’s enemies as nuclear warriors or as amoral businesspeople. 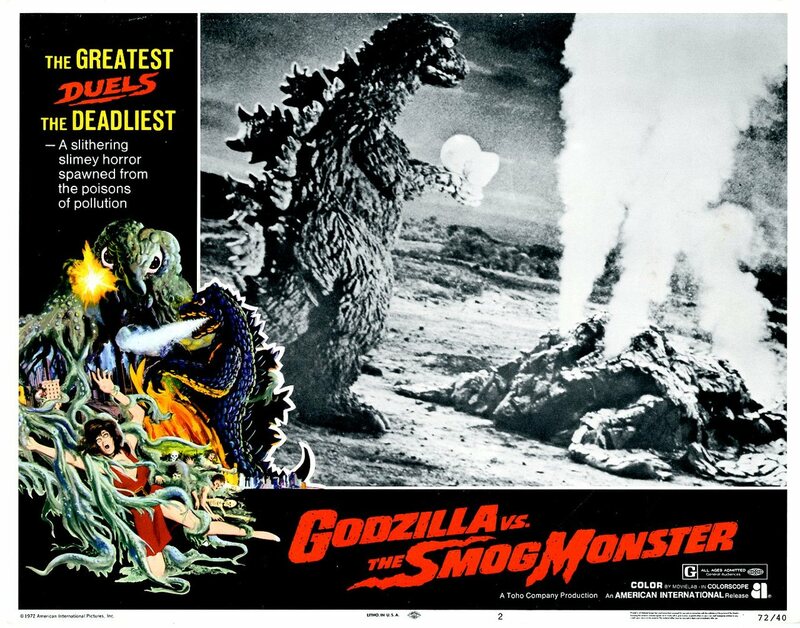 Instead, the new antagonist for these existing monsters increasingly became environmental degradation, as seen in “Godzilla versus the Smog Monster.” I don’t think it’s a historical accident that there has been a conspicuous revival of interest in the kaiju eiga (monster movie) genre in the past few years. On a certain level, although we’re accustomed to thinking of monster movies as being somehow removed from serious political concerns, in fact, they take on directly-–in allegorical form—the pressing issues of any moment in time. What is the origin of the Godzilla story? In March 1954, Japanese fishermen on a boat called (ironically enough) the Lucky Dragon Number Five were irradiated by a particularly large nuclear explosion caused by American testing. The men were not fishing in a restricted area but were nevertheless exposed to massive amounts of radiation—leading to one death. News spread around the world. It was particularly disturbing to Japanese because Japan was the only country on earth to experience atomic bombing. It’s curious that this incident didn’t leave as prominent a mark on the historical record as some others have. If you were a member of the Japanese reading public in 1954, you would probably have regarded the Lucky Dragon incident as Japan’s third experience of atomic bombing. The incident also led to the emergence of a very active anti-nuclear citizens’ movement in Japan. By 1955, anti-nuclear conferences were being held in Japan yearly. The Lucky Dragon fishing boat was eventually relocated to a park in Tokyo that you can now visit. This unfortunate history was the inspiration for the first “Godzilla” movie. The film was planned entirely after the Lucky Dragon events. Toho Company, Ltd.—the major Japanese studio—was supposed to do a war picture, but problems came up in Indonesia, where it was going to be filmed. The producer was in a bind around March 1954 and was looking for a theme for a new movie just around the time the Lucky Dragon incident made huge headlines. 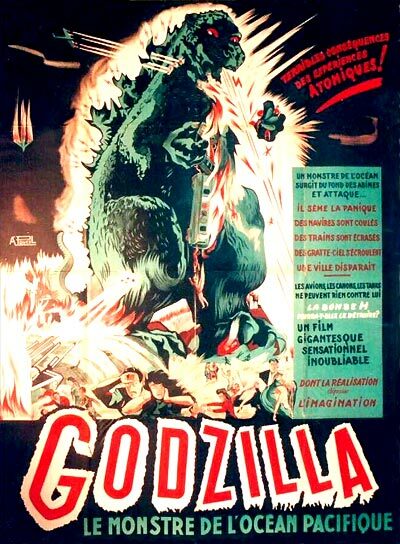 By November 1954, “Godzilla” was in Japanese theaters. How does Godzilla fit in the history of monsters in Japanese culture? Godzilla fits into a lot of different categories—that may be part of his popularity. It’s possible to view Godzilla as a descendant of much older dragon lore. There are long folkloric traditions surrounding sea monsters; there are also new understandings of biological life and zoology circulating in Japan from the late nineteenth century onward that Godzilla is made to conform to in ways that traditional monsters did not have to do. I’m interested in the generic differences between monstrosities but I place a lot of emphasis on continuities over time. There is an array of imaginary creatures that have had a variety of roots—whether from the religious imagination or from popular folklore—by the early-modern Tokugawa period (1600-1868). Japan historically provides one of the earliest examples of a “monster industry.” Already, in the publishing world of the Tokugawa era, a great deal of profit is being generated and a great deal of ingenuity is being exercised for the purpose of producing monsters and producing knowledge about monsters and their imaginary existence. Edo—today’s Tokyo—was the largest city in the world in 1700. Bustling metropolises like Edo, Osaka, and Kyoto harbored large numbers of urban commoners who were willing to part with their cash in order to purchase visual representations of monsters, or view staged spectacles of monstrosity in the Kabuki theatre or in sideshows, or acquire knowledge about monsters through the medium of print. The monster industry is the most profitable industry in the world in the sense that its raw materials cost nothing—they are entirely imaginary. Japanese cultural producers were quite adept early on at producing an ever-expanding inventory of monster representations and monstrous knowledge. That tradition—that history—is what the kaiju eiga (monster movie) picks up on and perpetuates. It’s one of many ways in which these kaiju—though they may look and behave very differently from traditional monsters—nevertheless are being spawned from the same cultural matrix and the same culture industry. Pokemon cards are produced by Nintendo, which descended from a company that made other playing cards. The special effects for which Japanese monster movies were renowned or notorious in the 1950s and 60s are aligned with the history of special effects on the Kabuki stage. People in Japan had been used to watching eye-opening spectacles. The technologies producing them may have changed, yet there’s a direct link between World War II propaganda and the kaiju eiga. Tsuburaya Eiji—who did the special effects of the early Godzilla films—honed his craft staging battle scenes, like Pearl Harbor, in miniature. I’m trying to connect the dots between kaiju culture and the various forms of monster culture that had preceded it in Japan. How has Godzilla been received in different countries? We like to think that “Godzilla” is a U.S.-Japan story. That’s not really what was going on in the world if you cast your eyes more broadly. 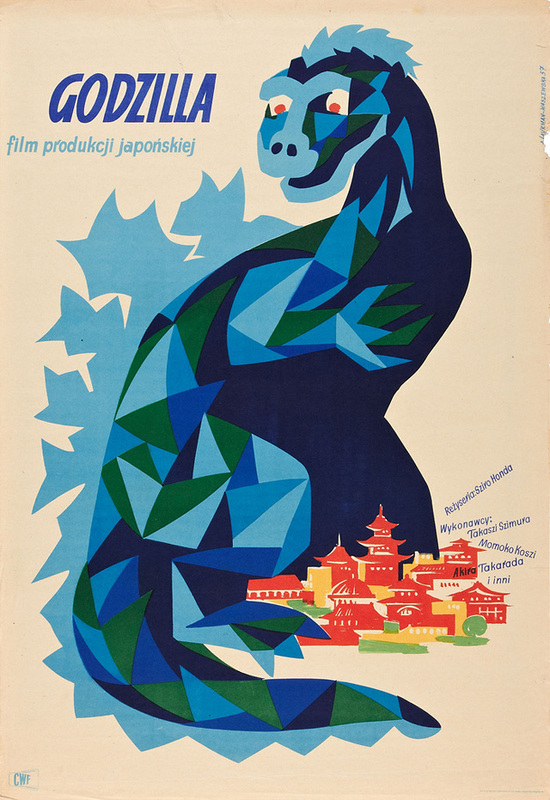 I’m just starting to look into how Godzilla was marketed in Eastern Europe. The fact that the films are made in Japan does not dictate how they’re received elsewhere. In the 1970s, a Japanese-made film called “Legends of Dinosaurs and Monster Birds” finally got shown in the Soviet Union. It became a cult classic in Russia. For many Russian viewers, this was a rare glimpse into everyday life in a capitalist economy. People were not taking note of the dinosaurs and monster birds—it was the Polaroid cameras! People came away talking about the camera that could take instant pictures. That’s one example. 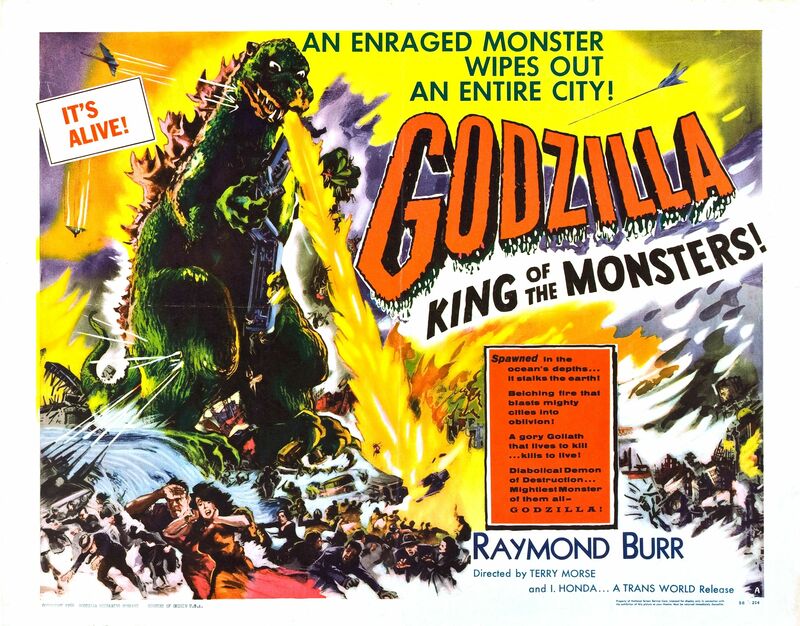 In Eastern Europe—the satellite states—the version of the first “Godzilla” movie that people were watching was the one adapted by Hollywood—the Raymond Burr 1956 “Godzilla: King of the Monsters!” However, publicity for the film in Eastern Europe insists that it was the product of Japanese studios so as to take away the political unsavoriness of showing audiences an American-made film. Another example is when the Germans get “Godzilla” in 1955. They’re watching a German-dubbed version of the Japanese version. In that German version, an entire plot point is retained even though the American version would minimize it: in the original film, one of the central characters—a physicist—had been involved in research with Nazi Germany during the war. This is something Hollywood decides is not useful for its own purposes. For a German audience, a whole recent history is being invoked that is still very meaningful to German audiences. If you focus on the Japanese version and the American version of the film, you miss a large part of how a German viewer would interpret the story. 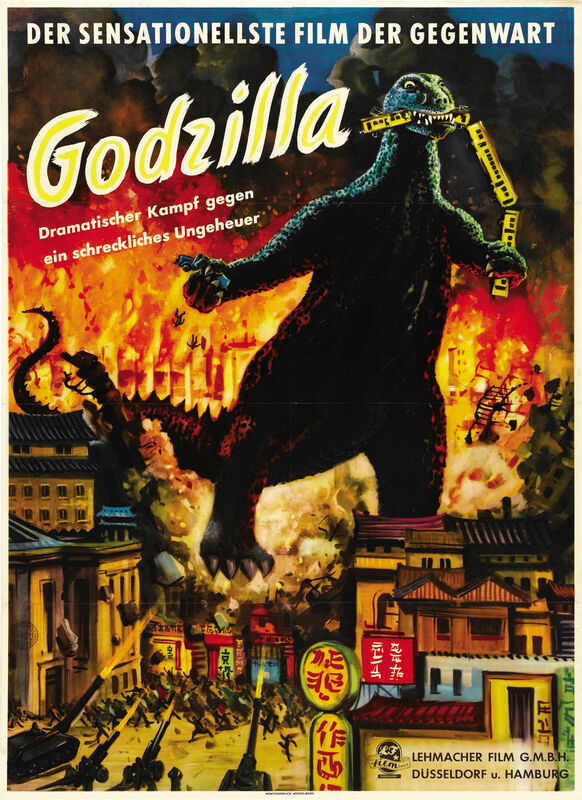 Similarly, the German poster for “Godzilla” is dominated by this fiery urban conflagration and it must have been a visually powerful thing for audiences in a nation subjected to firebombing. You have to think beyond the U.S.-Japan level. The U.S.-Japan relationship is central to the Godzilla story—but to stop there is to miss much of the power of that icon in world history. Gregory M. Pflugfelder (Ph.D. Stanford University) is associate professor of Japanese history in the Department of East Asian Languages and Cultures and the Department of History at Columbia University. He is also on the faculty of the Weatherhead East Asian Institute at Columbia University. His books include JAPANimals: History and Culture in Japan’s Animal Life, co-edited with Brett L. Walker (Michigan Monograph Series in Japanese Studies, 2005), and Cartographies of Desire: Male-Male Sexuality in Japanese Discourse, 1600–1950 (University of California Press, 1999). His short video about the 1954 Lucky Dragon Number Five event is available on the Criterion Collection‘s “Godzilla” (1954) DVD and Blu-ray.